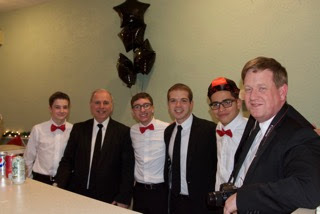 The Marianist high schools of the Province of Meribah sponsored the annual Junior-Senior Prom at Queen of Peace Residence in Queens Village last week. 28 years ago Little Sister of the Poor, Sr.Marie Antoinette, approached us to sponsor a dance with their elderly poor. 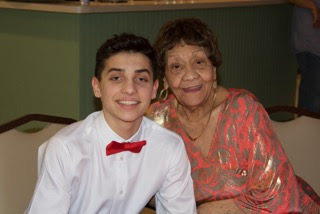 Our first dance was a joyous occasion for the young and old. Decorations and corsages were sponsored by the Little Sisters and the music was provided by a one-man accordion player. No one left that evening without a energetic and positive response. 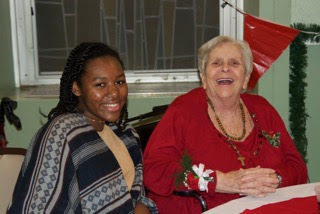 Twenty-eight years later the two high schools continue the tradition entertaining the elderly poor at Queen of Peace. Now the young provide the decorations, corsages and music. But the enthusiasm and joy continues as Sr. Marie Antoinette envisioned. 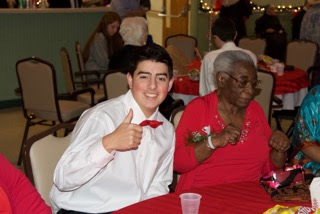 Thank you Sr. Marie Antoinette, the elderly poor of Queen of Peace, the Little Sisters and all the hundreds of Marianist high school students that have assisted in the Junior-Senior Prom.